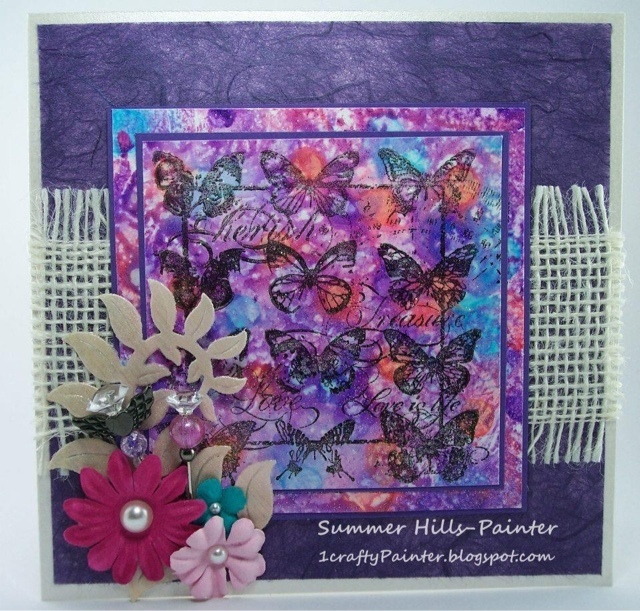 Hello everyone ... today I am bringing you my challenge entry for the Simply Betty Stamps, facebook fan page. This is Lilliana and she has been colored with my Spectrum Noir markers. The challenge color combo to be used was Black, orange, yellow, and white. 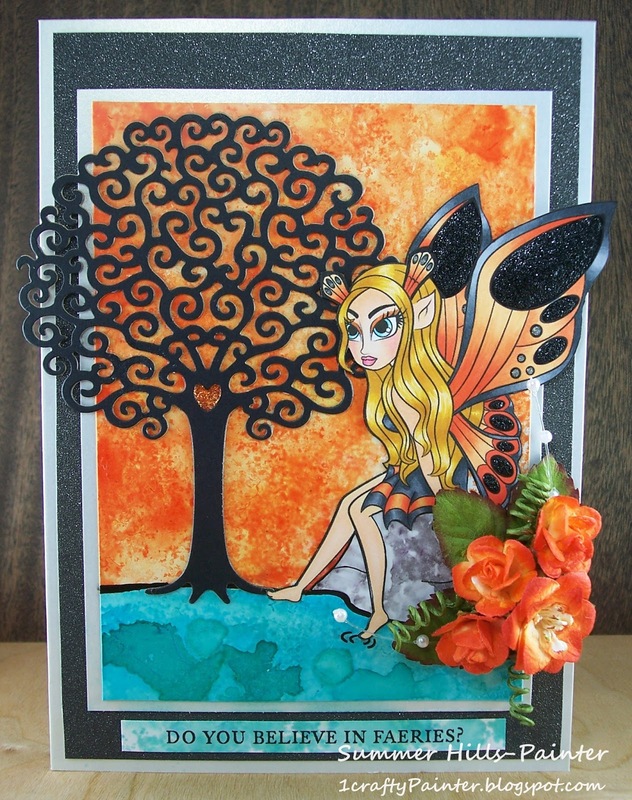 The background has been created using my Spectrum Noir markers and re-inkers on glossy photo paper. Hello everyone. Today I want to share my Mother's Day cards inspired by the talented Jennie Black. The patterned paper was made using my Spectrum Noir re-inkers on glossy paper. The stamp is from Sheena Douglass. The paper was sealed with iridescent glitter dust. Hello everyone! It has been raining for days here. 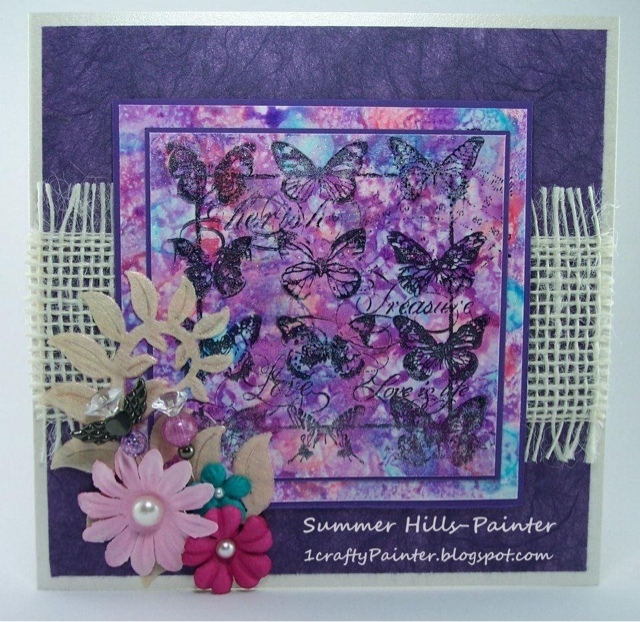 I am sharing with you my card that I made for the Simply Betty Spring swap. She has been colored with my Spectrum Noir markers. The bling is from Recollections. The sentiment is from Crafters Companion Angelica and friends stamp set.